A classic game comes back to life in more vivid colours and DAMIAN REID soaks up the nostalgia. Have you ever read a good book then picked it up years later and discovered it was every bit as great as you first thought? That would be the best way to describe my experience playing Shadows Of The Colossus remastered for the PS4. 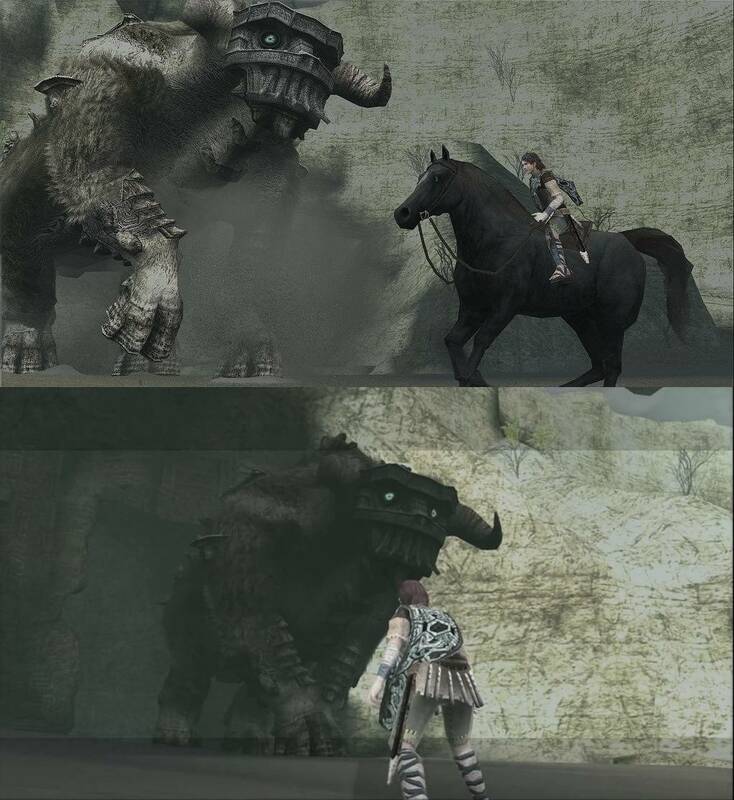 Thirteen years ago I guided Wander and his valiant steed Agro in their quest to defeat the Colossi and restore life to the lady Mono. I had vague recollections of some of the Colossi, the first third and fifth specifically. The fifth Colossus always stuck in my mind for some reason. Also I remembered galloping Agro across grassy plains with a sense of freedom. Ah, the folly of youth. So it was with a sweet sense of nostalgia that I fired up the remastered version and straight away I was blown away by how beautiful this game is. The artwork updated to modern graphic standards is amazing and the soundtrack is one of the best in all of gaming. The premise of the game is very simple: track down and kill the Colossi and in return life will be restored to Mono, the girl Wander has brought in to the forbidden lands to save. Armed with a magic sword, bow and the greatest horse ever (Agro) you play as Wander, a young warrior who must track down and defeat the Colossi. Each Colossus is a puzzle that needs to be solved, from finding out where the vital strike zones are to figuring out how to access these zones. In some cases you need to find a way to destroy the armour on the Colossus before you can even begin to defeat it. The world is sparse with no villages, towns or cities and apart from some lizards, birds and butterflies little else exists in the forbidden lands. There are mountains, lakes, rivers, deserts, forests and rolling grasslands – and ruins of course – and throughout your adventure you will ride and battle through them all. Wander is set on his quest by the mysterious voice of the disembodied entity known as Dormin, who it is said has the power to raise the dead. There is not much else you can do in this game. There are some sparkling lights to collect, and if you can catch a lizard and eat its tail your stamina will increase (although this happens as you progress anyway) and playing on different difficulties unlocks some cool collectables like the mask of strength. But you don’t play Shadows Of The Colossus for side missions or collectables, you play it to defeat the Colossi and that in itself is a challenge. 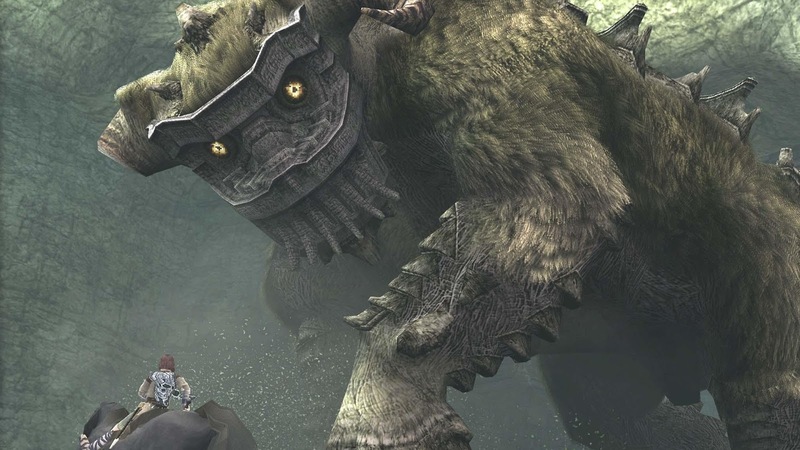 Each Colossus has a weakness and the voice of Dormin will give you some subtle hints if you are struggling. The early battles just require you to climb on to the Colossus, stab it in each of its vital areas and then watch the cut scene as it dies. Oh, speaking of cut scenes there are a lot, but they are so beautiful to watch it is not an issue. 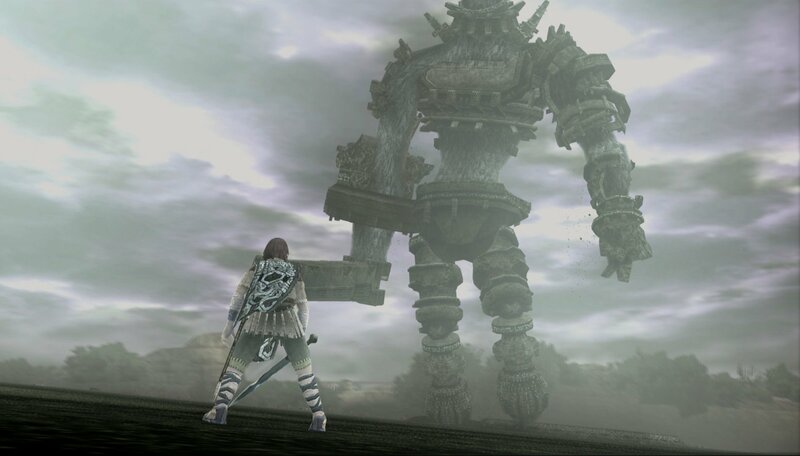 As the Colossi get harder you may need to use the environment in order to shatter armour covering the vital areas, and solving these puzzles is what makes Shadow Of The Colossus an enjoyable game. If you have played the game before you will love the nostalgia, the beautifully remastered artwork, the soundtrack and of course riding with Agro once more. If you are new to this world, then be prepared for a much slower style of game play than action/adventure games of today. They haven’t upgraded the fight system, or the steering of the horse so be patient and when following a trail just let Agro go hands free, as it will be less frustrating. There were moments in the game where the controls were clunky and slow, but once I rediscovered my 2005 gaming mentality it became less frustrating and a lot easier to play. You can probably finish the game on Normal in six hours and this is not a game you will want to replay immediately, but it is so beautiful that you will go back and play it again for that reason alone, and to beat it on a harder level. 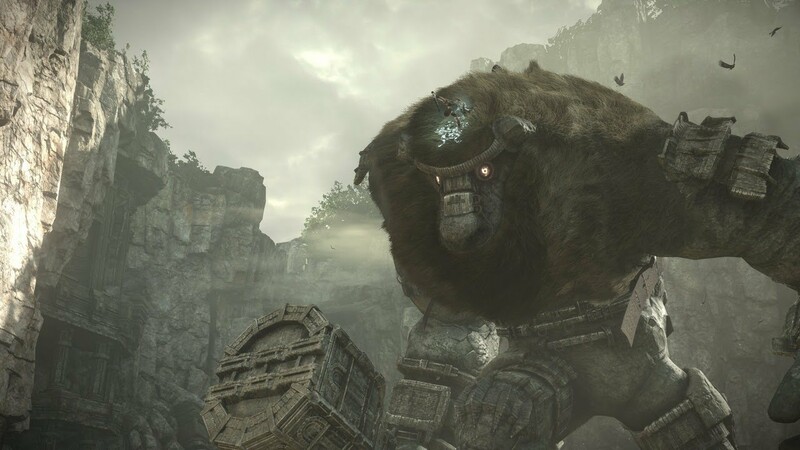 Shadows Of The Colossus is a great game for introducing new gamers to the action/adventure genre as patience and taking your time are two strategies that are necessary to win, and they won’t feel the need to master a thousand combos, spells or weapon choices. The dramatic battle music can hype up the tension, but that just adds to the atmosphere. Damian has been called a Geek, a Nerd, a Gadget Tragic, a Thespian and a Meathead Sports Fan. To all he responds with a resounding yes. As MC for the Armageddon Conventions here in New Zealand Damian is immersed in Geek Culture. Gaming has always been a huge part of Damian’s life from board-games, to RPGs and of course electronic gaming from the moment he got his first Force Two console. The only thing he loves more are his dogs, which is how he came to meet Pat Pilcher who introduced him to Witchdoctor and now here he is sharing his opinions on gaming for the more mature (chronologically speaking) player. Game on dude!